Few sane individuals would view this as a salvageable find. However, there are so few Series 1 Elans we felt we had to give it a go. Elans are very light. A complete one weighs about 1500 pounds. Engine? Yep, we have one of those. 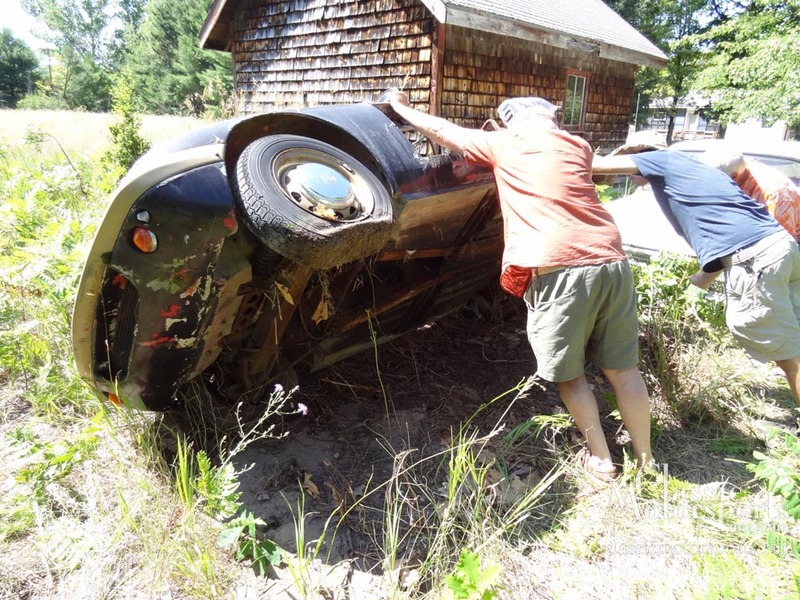 About three days before heading on a trip to Traverse City, Michigan, we got a call from a reader who had just bought a Lotus Europa from a guy near that town. He told us that in the field next to where the Europa had been stored there sat a real Lotus Cortina and an early Series 1 Elan. He asked if we might be interested in taking a look. While we were not really looking for more project cars at that very moment, the opportunity was too tempting to resist, especially since we were already planning to head that way. When we arrived at the Lotus owner’s house, what we found was a genuine, late Mk1 Lotus Cortina that was original, right down to the owner’s manual. 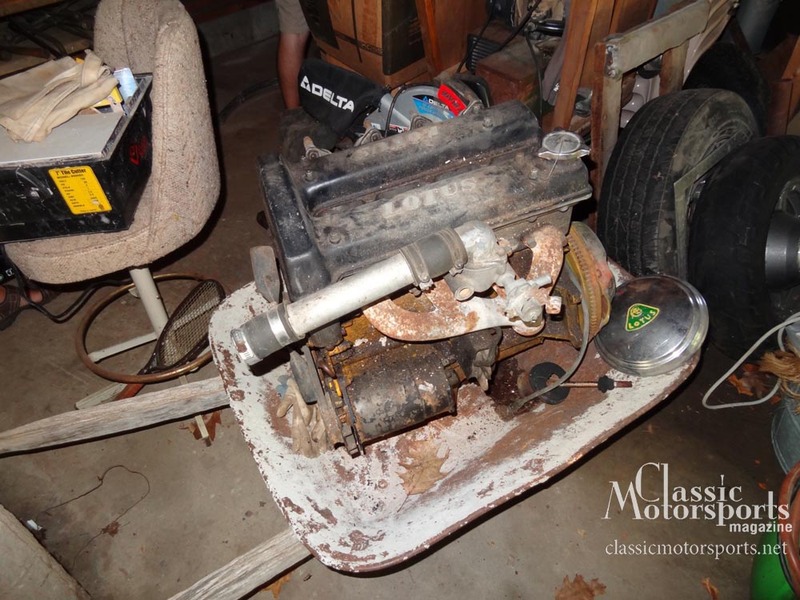 The only two real problems—and they were big ones—were that at least the twin-cam head was missing from the engine, and the car was very rusty after having been left in a field for some 35 years. 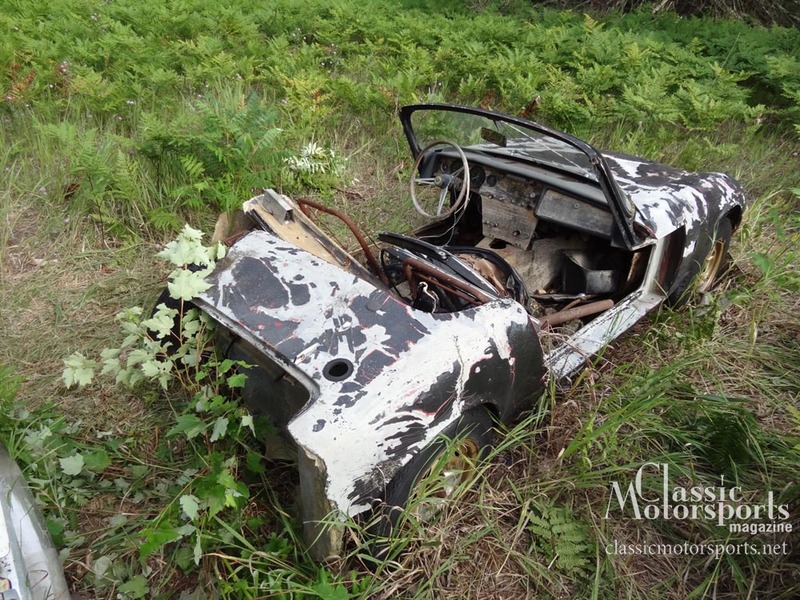 The Elan was in even worse shape. It had been hit so hard in the left rear that the entire trunk area of the body and rear bumper were missing completely. Only the taillight panel had been salvaged and thrown into the car. Our first impression was the sensible one. This trip had been a waste of time, and these cars were not restorable. This brief moment of common sense quickly faded. A quick bit of research showed us that a Lotus Cortina was quickly climbing towards $100,000 in value. If we fixed the rust ourselves, we might make something out of that one. And while the Elan would be deemed totally unfixable by any reasonable, economical measure, we decided we wanted to save it. There are just not enough of these amazing early Elans to let this one go. The negotiated price of $2500 for the pair of cars was the icing on the cake, and somehow made the whole deal seem to make sense. We began to load our Lotus cars onto trailers. The story on this car will start shortly in Classic Motorsports magazine. Subscribe now and you won’t miss a single installment of what should be our most interesting project car series yet. Thank you for all you get done at the expense of bloodied hands and untold splinters of steel or fiberglass. This one is going to be epic. An update on this, assuming we can make the car look the part, we have it accepted at the Amelia Island Concours for 2017. To me, if regular guys with day jobs, can restore this horrible. horrible car at reasonable expense and then get it into Amelia, that is a story I would want to read. But, maybe I am just weird! And don't think we are going to build a concours queen. Once done with that event, we want to rally and run track days with the car. Tim, had they see the "before" pics when they said yes??? Makes me think of Graveyard Carz 'Phantom 'Cuda' and the cars they rolled down the mountain in 'The Italian Job'. So I assume that the Elan will need a new frame after sitting in a field exposed to Michigan weather. So will you be going with a factory replacement frame or a Spyder frame? My brother Chris went with a factory frame for his restoration. Sometime I think he wished he went with the Spyder frame. There are a lot of options with the spider frame. What series is the Elan? My guess is a series 2. It's an early series 1 car (from the article). Actually it is a pretty late Series 1. The frame seems to be pretty good, unlike the rest of the car, And Bill Warner of Amelia did see the before pictures, but also saw the Tornado when we started, so knows we can pull it off. I am trying not to make this a George Washington's axe, where you replace everything and then attach the original shift knob to the recreation. The shift knob is screwed up anyway! I recently (this spring) completed an early S1 frame off rebuild. My car was in far better condition then yours but it had its issues and I wanted 26R components for the increased HP I had in my built twin cam. I'm really looking forward to this series of articles! Glad you're doing a track/rally build, too. I am trying to get started around X-mas, as I now have most of the parts I need. Still need to finish a few more things on the ramp truck and get our TR3 back together. No rest for the wicked. If you don't mind the thread jack, what's doing with the TR3? You took a win in that car at Lime Rock. We are going entirely through the TR and kind of refurbishing everything for the car's 20th anniversary in my care. 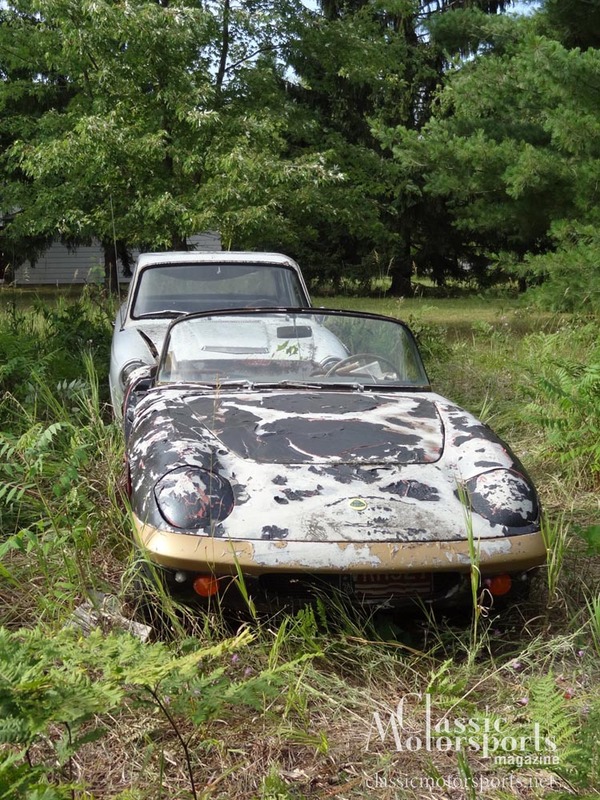 Found another Elan in CT that was hit in the front for $1250 (minus engine and trans). Winning! This will make this crazy project much more doable, as now I have all the fiberglass I need and a good left rear corner.